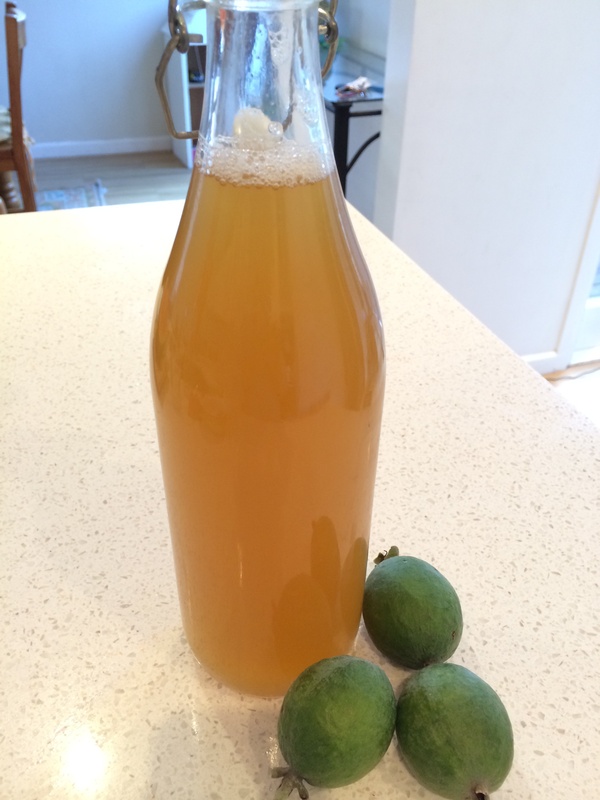 Adapted a feijoa zest cordial recipe by Alessandra Zecchini NZ Gardener Magazine May 2008 for the Thermomix. Fantastic way to use the feijoa skins. 100 g – 250 g sugar ( I use 100 g for a lower sugar cordial but there is another recipe labelled Allesandra Zecchini that uses 250g sugar for 500 ml of boiling water, or 500g to 1tr of boiling water ) I’ve done both and would maybe increase sugar to individual taste. 1)Add all ingredients to TM bowl. Cook 25 minutes / 100 degrees / Reverse / Speed 2 until all sugar is dissolved. 2) Pour cordial through a fine sieve into sterilised bottle/containers. Store in the fridge. Use 1 part cordial to 3 to 4 parts water. The cordials are also good mixed with tonic/soda water.